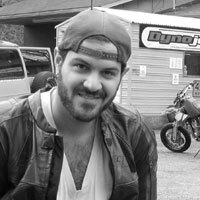 I remember walking into a local moto shop just north of Quakertown, Penn., a month before my 22nd birthday to pick out my first helmet prior to my MSF training course. The shop was picked at random, the helmet was picked based on price, and I did not have a clue what DOT or Snell even meant. That first helmet was too heavy, too big for me, and not rated by any safety organization whatsoever. If only someone had been there to give me a guiding hand, explaining these things to me when I was first starting out. For riders who want to make better choices than I did back then, Speed and Strength has a slew of new helmet models for this season that you can afford to buy but don’t force you to sacrifice safety. The all-new Speed and Strength SS1400 Helmet (Solid Speed pictured to the right) is the first Snell-rated safety helmet the company has ever produced. 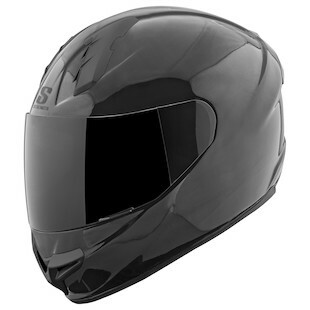 The SS1400 features an intermediate head shape that will fit most of the American market more comfortably than some of the rounder helmets in their lineup. Designed for the sport and sport-touring crowd, its plush interior is comfortable enough for all-day use and the inlet and exhaust vents allow for copious amounts of airflow. The shell is constructed of a fiberglass composite, which greatly reduces overall weight and neck fatigue on longer rides. If Black or Matte Black are not your style, the Speed and Strength SS1400 Twist of Fate graphic, comes with Black, Red, or Hi-Viz Yellow lettering and provides a carbon fiber inspired, optical illusion effect. All of the same features as the Solid Speed Helmet, just with a visual boost. Don't strain your eyes too hard though... we are almost certain there are no sailboats to be seen! Helmet technology has come a long way since I bought my first helmet. 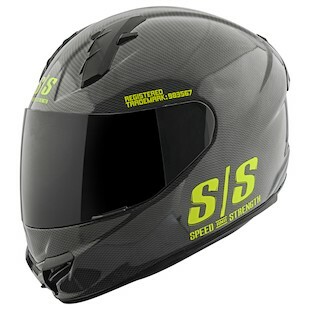 With companies like Speed and Strength releasing helmets such as the SS1400, it keeps competitors on their toes. The result being that new riders and bargain hunters have more options than ever before in the sub-$200 price point. If you are currently shopping around for your first helmet, you have plenty of great options to choose from. Thanks to Speed and Strength, you now have one more.